In order to ensure patients remain completely comfortable throughout surgery, we utilize a variety of surgical anesthesia methods. 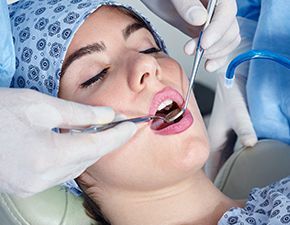 From the mildest nitrous oxide sedation to general anesthesia which renders patients completely unconscious, we do our utmost to make certain patients are never anxious or comfortable during treatment. Contact the team at new Frontier Oral Surgery with any questions or to schedule a consultation. We treat patients from Lady Lake, Leesburg, and other nearby locations. 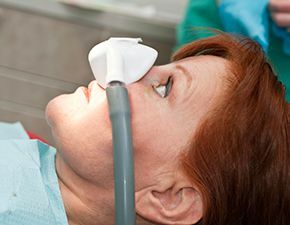 One of the oldest forms of dental sedation, nitrous oxide is inhaled through a nasal mask, and this fast acting sedative goes to work almost immediately relaxing patients and decreasing pain response. 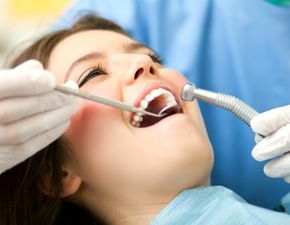 Commonly referred to as laughing gas, nitrous oxide creates a euphoric effect, and dosage can easily be adjusted for optimal comfort throughout treatments. Additionally, the effects wear off as quickly as they set in, and patients are able to return to daily activities right away. 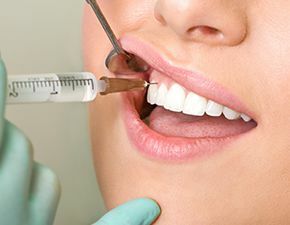 Oral conscious sedation is a great option for patients who suffer from severe dental phobia or anxiety especially those who have difficulty making themselves leave for a dental appointment. Oral conscious sedation requires patients to take a sedative pill prior to leaving for their appointment. This means patients are already starting to relax before they ever leave home. A trusted friend or family member should bring patients to and from our office, and patients should plan to relax for at least 24 hours following treatment. Combining the ability to adjust dosage for optimal results possible with nitrous oxide and the moderate sedative effect achieved with oral conscious sedation, intravenous (IV) sedation is an effective way to improve comfort during complex procedures. Patients may doze under the influence of IV sedation, but they will be able to respond to questions and react to stimulus in most cases. Like oral conscious sedation, patients should plan to have a friend accompany them to and from their appointment. 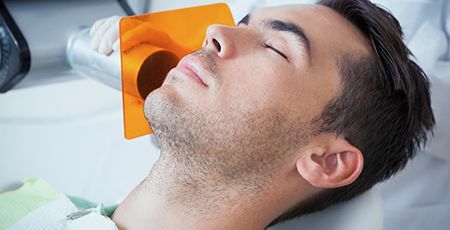 Sedation is often referred to as sleep dentistry, but this is actually a misnomer. The only form of sedation that actually renders patients unconscious is general anesthesia. We recommend full general anesthesia for those patients who need a number of complex treatments, who may experience excessive pain or discomfort without anesthesia, and those who are incapable of understanding their care which may make the procedure unsafe. Our priority is to ensure patients are completely safe and free from stress and pain during their time with our team.